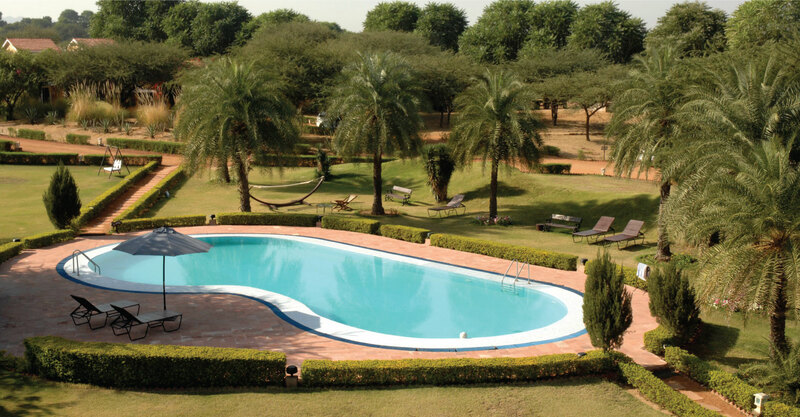 The property comprises of 40 cottages which include 10 Superior Rooms, 9 Deluxe Rooms and 21 Standard Rooms. The all day restaurant and Wadi Bar are the perfect hangout spots during the daytime.Another feature at the property is the conference hall and wedding lawn which can be used for official or private gatherings. The Kaivalya Spa offers a range of massages, scrubs and wraps as well as a swimming pool which help refresh our guests during their stay at the property. Games such as sand volleyball, badminton, pool, table tennis, croquet & chipping-putting make for the ideal physical activities at the resort. We also provide camel kafila rides & jeep safaris, picnics in the fruit orchard and motorcycles rides. We recommend our guests to explore the property on a bicycle which are available on rent. Basic amenities such as laundry, internet, and concierge services can also be availed at the reception.